What does a walnut floor look like? Dark, with darker veins and swirls. A walnut hardwood floor is not as hard as oak, so not as durable. Time to say goodbye to the shiny and classy floors that have become too common and hence fail to make a statement. If you are going to invest money in gifting your house a unique flooring that is sure to turn a lot of heads, don’t think any further than Walnut. This is the reason why Walnut flooring is making a comeback since the last few years. Did you know that hardwood flooring comes in walnut? From a formal home to a contemporary home, walnut hardwood flooring can make your home stand out best from the rest! Walnut flooring is more of a dark wood, but it comes in different grades of darkness so that you can find the perfect look for your home. Walnut flooring is sure to add that perfect amount of coziness to any room in your home. A lot of people feel that the irresistible dark tan of walnut can complement their personality like no other flooring possibly can. Some go to the extent of renovating their whole home flooring with walnut and make a sharp style statement. Walnut trees have been grown in North America for hundreds of years. The early colonists even sent walnut wood to England as early as 1610. Walnut was one of the most prized woods of this time period and was used to make different kinds of furniture. It became scarce, however, due to the wide use of it in the Eastern states. It was used in the Midwest for fences and railroad ties. The popularity of walnut increased in the 1970s, but lighter colored woods like cherry and oak again edged it out. It has become more popular again for use in hardwood flooring and cabinets, as well as furniture. Adequate availability of walnut should not be a factor that makes you think twice whether to opt for a walnut flooring or not. Most reputed agencies have sufficient stock of the same and will be able to supply it in short notice. Finding high quality walnut is an entirely different matter. While it is advisable to visit multiple shops to choose the right one, it is also an excellent idea to make use of the abundant resources available on the web. What does a walnut floor look like? A lot depends upon the stain and finish of the hardwood that you purchase. Unfinished walnut flooring has a dark brown to purplish black color to it. It looks great in any kind of home from country to contemporary. It can be purchased in almost any length and width of plank size and is even available in parquet patterns. This variety can help you to custom floor each room in your home to make each one look like a masterpiece! The best thing about walnut is that it can go perfectly well with almost any other type of flooring. All you need to do is select the plank size and area where you want to install the walnut flooring. Since it is easy to work on, the flooring can be done yourself. However, if it is calls for removing the previous flooring first, you may need to seek professional help because it requires more expertise. Walnut hardwood flooring is easy to work with, including cutting and sanding. Because it is a softer hardwood, having Janka rating of 1010, it takes stains and finishes well, and it usually has a smooth finish. This makes it easy to keep clean whether you have pets or children, or are just accident prone! Hardwood flooring of any kind is great for people with allergies as it can be cleaned much more thoroughly than carpets can. The allergens can be picked up with a dust mop and do not get imbedded in the floor as they do when you have carpet. Walnut floor registers are a great addition to your walnut flooring. The registers in the same kind of wood as your floor helps to make them disappear and they are not noticed as much as the metal registers would be against your walnut flooring. If you are looking for a darker wood floor for your home, then walnut floors are right for you. Walnut is an excellent choice for any style of home from contemporary to country and it goes with many different decor styles as well. This is why many people choose walnut floors for their home. It can even look great in office spaces too. Do check the web for more pictures and models. If you are looking to add warmth and character to your home, then walnut may be the choice for you! Hi there. I am building a new home and we have decided on walnut floors for the common living area. This is kitchen, dining, lounge, area. I think it will be stunning as it is an open concept house with the kitchen sectioned off by an island. I am wondering what sort of cabinets I can choose that will still look nice with such a dark floor. I was hoping for oak, but I’m just not sure how the lighter wood would look with the dark. I know that white cupboards are the obvious choice, but with four kids and a dog white cupboards are not going to be practical. can you please tell me how to clean them without scratching? is there a vacuum cleaner that can be used? 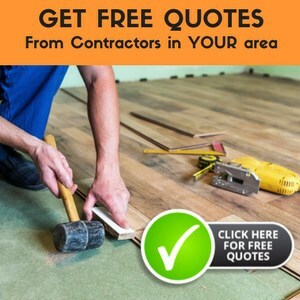 I would consult with your installers or the manufacturers of your wood flooring. Some use A fine bristle broom and a vacuum with a bare floor settings. Again contact your manufacturer for their cleaning recommendations as that may save you time and in the long run money. We are in the process of building a home, and have selected American Walnut for our floors! My husband loves the color variation and the dark knots. I know that most people tend to do a natural finish on their floors when using Walnut to not change the beauty of the Walnut Floors. However, the yellow, golds, red tones do not go with our house unfortunately. I was reviewing your blog on how to create a grey/charcoal/brown floor. I am going for more of a Restoration Hardware floor look. Considering the red/gold/tones.. what would you suggest I start with as a Base in Durastain. Should I use the Classic Gray or Do the Ebony/White suggestion. I did find that the Ebony leaned a little Green on some of the lighter golden boards. I would somehow like to mix a “gray” and maybe a “brown” to get a brownish/grey stain. Any suggestions you could give would be VERY Helpful!!!! Thank YOU.